Specifications WE ARE LEADING MANUFACTURER AND EXPORTER OF 600 MM Horizontal MillStone. We are actively engaged in offering Wet Rolling Grinder Stones. to our valuable clients all across the nation. Highly advanced technologies and modern machines are used while manufacturing these grinders. These grinder stone are quality tested on various parameters and are authenticated as per the industrial standards. Owing to the wide experience of this domain, we are instrumental in offering Tilting Wet Grinder Stone to our clients. 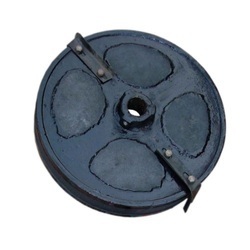 To meet the various requirements of the customers, we are involved in offering a wide assortment of Wet Grinder Stone. With the assistance of our skilled and dedicated professionals, we are instrumental in offering Wet Grinder Stone. We are a top notch supplier of Wet Grinder Stones. We are engaged in offering Wet Grinder Stone.